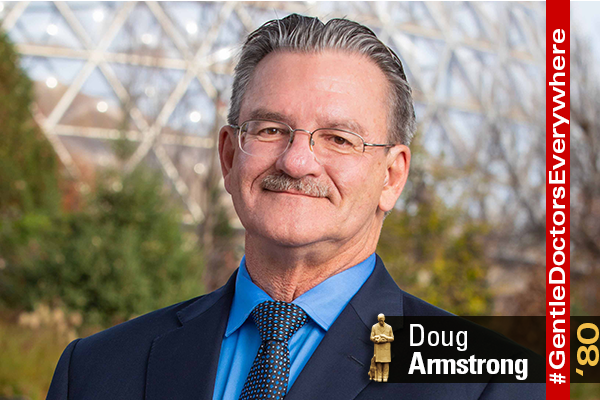 As the director of animal health at one of the world’s top five zoos, Doug Armstrong has advanced the zoological and wildlife medicine profession. He was recently rewarded for his years of clinical work with endangered species in zoos with one of the American Association of Zoo Veterinarians’ (AAZV) highest honors. The Emil Dolensek Award is given to individuals who have made exceptional contributions to the conservation, care and understanding of zoo and free-ranging wildlife. Armstrong has worked for the past 33 years at Omaha’s Henry Doorly Zoo and Aquarium in a number of positions including his current role as director of animal health. “It was a surprising and humbling honor to receive this award,” he said. “I have always admired those who received this award previously and never imagined I might be included among such respected conservationists.” Learn more about Armstrong in this previous profile in the Omaha World-Herald.